Why do kids do what they do? When they show defiance, have a tantrum, or don’t cooperate, are they intentionally trying to get us? What if the answer were no? What if science showed us that our minds and bodies are physiologically shaped by adverse experiences that, in turn, affect our behaviors? Bessel van der Kolk is a psychiatrist known for his research on post-traumatic stress and the founder of the Trauma Center at Justice Resource Institute in Boston. 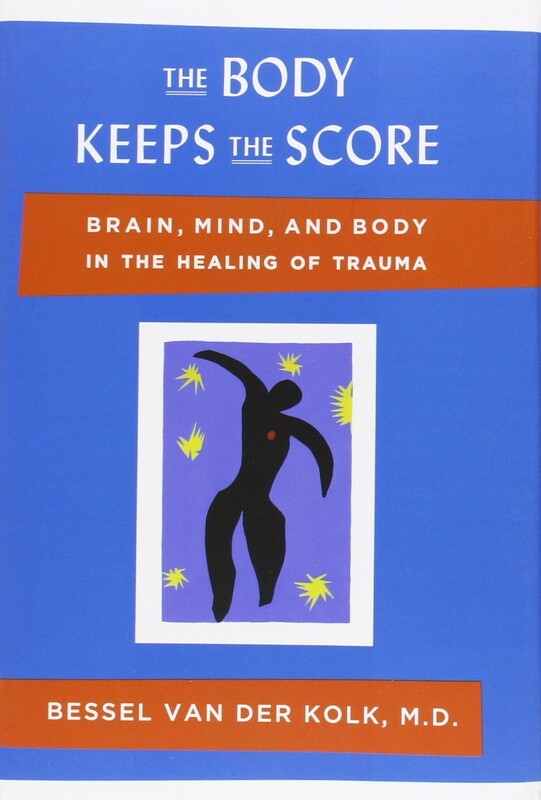 His most recent book, The Body Keeps the Score: Brain, Mind, and Body in the Healing of Trauma (Viking, 2014), illustrates how behaviors leading to diagnoses such as oppositional defiant disorder (ODD) and attention deficit and hyperactivity disorder (ADHD) could be related to trauma. Van der Kolk shares his research on Vietnam War veterans and survivors of sexual abuse. He discusses how these past traumatic experiences are stored in a body’s memory and then are triggered when the person is faced with a situation with even remote similarities to the situation in which the original trauma occurred. He gives the example of a medic at war who witnessed a tremendous amount of death. Upon his return to civilian life, the man was able to work and marry, and seemed to be functioning well overall. It wasn’t until he and his wife had a child that his trauma began to resurface, as the baby’s cries reminded him of crying children in the battle zone. A colleague of van der Kolk almost misdiagnosed the man as having a psychotic episode. Van der Kolk’s interpretation was different. “I think this man is suffering from memories,” he said. Without knowledge of this man’s history, one might look at his inability to meet the needs of his crying baby and see only irrationality. Who, after all, wouldn’t move toward their child in need? Scientific research such as van der Kolk’s is beginning to show that the situation is, in fact, much more nuanced. Everybody has a story, and each individual’s story has a physiological influence on that person’s behaviors. Van der Kolk points out that the diagnosis criteria for trauma in the American Psychiatric Association’s Diagnostic and Statistical Manual of Mental Disorders, Fifth Edition falls short of recognizing trauma as a hidden cause behind common diagnoses such as ODD and ADHD. If trauma is missing as a possible diagnosis, symptoms of unresolved traumas can be misdiagnosed, mistreated, or left untreated. If trauma were suffered by only a small percent of the population, this might not be a problem of great proportion, but van der Kolk shares how trauma is actually quite prevalent. He refers to the Adverse Childhood Experiences (ACE) study, for example, which asks participants 10 questions, all related to their childhood and how they were parented. This large-scale study, with more than 17,000 patients, linked participants’ childhood experiences with their long-term mental and physical health. More than half had experienced some kind of adverse childhood experiences, and their ACE score had a strong correlation with obesity, depression, lung disease, cardiovascular disease, cancer, and early death. So what does the fact that our bodies keep score of emotional hurts mean for Solo Moms like us? The fact is, we all experience hurtful events in our lives, some extremely traumatic, such as those of the war medic. Other trauma might be smaller, such as navigating a rocky divorce or dealing with the shame put on us when our child makes poor decisions. If we can begin to understand our own stories and how they shape our parenting, then we can begin to empathize with our children’s stories and how our parenting influences who they become. We cannot always protect our children from traumatic experiences, but we can commit to always trying our best and to helping them find the way through their struggles by caring well for ourselves so that we can be there for them. According to van der Kolk, “Our attachment bonds are our greatest protection against threat.” As we recover from our own traumas, we become more emotionally available to our children. And no matter how you keep score, that’s a win for us all! Keiko Sato-Perry is the Solo Mom of two awesome school-aged sons. Originally from Tokyo, she is a trainer and consultant at Hand in Hand Parenting and co-teaches at an independent elementary school.